← Yippee-Ki-Yay, Another Blog-Post Round Up! The latest installment of the serial story “Tears of Vriannon” has been posted! You can find it by going to the Tears of Vriannon homepage: click on the Serial Stories button at the top of the screen, then the link for “Tears of Vriannon”, then the link for “Chapter Two”. You can also find it on the right-hand side of the screen by clicking the “Tears of Vriannon” link under Pages. 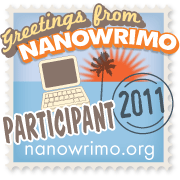 This entry was posted in Announcements and News and tagged fantasy, fiction, vriannon, writing. Bookmark the permalink.